Despite its less-than-auspicious opening on July 17th, 1955 (unexpected massive crowds, insufficient water and melting pavement), Disneyland has occupied an almost mythical place in people’s hearts for generations. Yet when you think of Disneyland, you picture kids running around and/or screaming, Mickey ears, incredible rides, turkey legs, and princesses – so many princesses. You probably do not think of diplomats or heads of state wandering through Sleeping Beauty’s castle. And yet they’re not immune to Disneyland’s siren call, either. 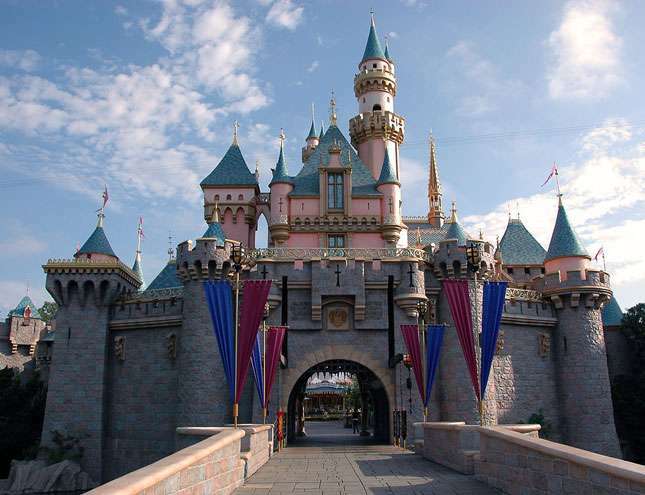 Soviet Premier Nikita Khrushchev famously wanted to attend Disneyland during his infamous 1959 visit to the United States but was denied for security reasons (they feared possible snipers, among other things), which added even more tension to an already problematic trip. John Howard Morrow was interviewed by Celestin Tutt beginning May 1981. Walker Jr. began his interview with Charles Stuart Kennedy in April 1992 and Arthur H. Hughes began his interview with Raymond Ewing in January 1998. MORROW: I think I should mention specifically about the visit to Los Angeles because an unusual incident took place [in late October 1959]. 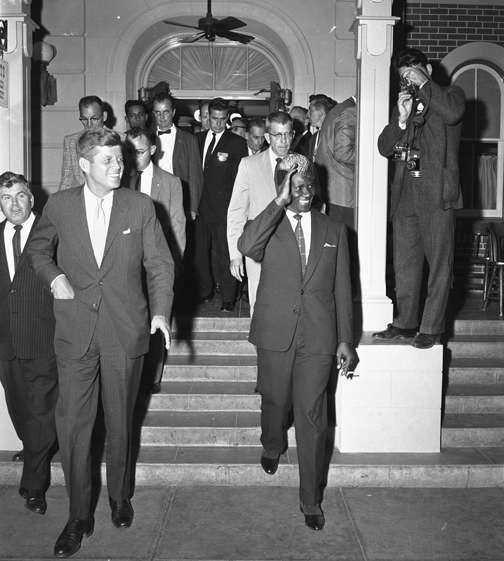 The most significant event in the Los Angeles visit was a little publicized meeting in Disneyland between President Toure [of Guinea] and John F. Kennedy, who at that time was a Senator from the state of Massachusetts. This private meeting had been planned originally for Sunday evening at the Ambassador Hotel but had been changed to Sunday morning, November 1st, at Disneyland. This was indeed an historic meeting between the two young leaders: one who was destined to become president of this great land and one who had won independence for his nation. Senator Kennedy was then chairman of the Subcommittee on Africa of the Senate Committee on Foreign Relations. He had expressed a point of view about Algerian independence that did not place him on the side of the French. After introductions, the two men exchanged pleasantries about each other’s youthful appearance and implied that youth was probably an important attribute for a leader in today’s world. Senator Kennedy then expressed his keen interest in Guinean independence and in the struggle confronting Toure to maintain this independence. Turning to me, he said that, with all due respect to me and to the party which I represented, he would like to go on record as assuring President Toure that if the Democratic Party came into power in the 1960 election, he would certainly have a great interest in the progress of Guinea and other emerging nations of Africa. Senator Kennedy wished President Toure well in his efforts to improve conditions in Guinea and quipped that at least the two had only one political party to deal with in Guinea even though its symbol was an elephant, syli. In reply, President Toure expressed warmly his appreciation to the Senator for his willingness to confer with the delegation and for his expression of interest in the Guinean experience. Toure assured him that such a personal contact was most important in fostering better understanding and improved relations among nations. Toure made it clear that he and his colleagues had followed with great interest the Senator’s stand on Algerian independence. He concluded by wishing Kennedy continuing success in his future endeavors. The next time they met was at the White House in 1962 when Toure conferred with Kennedy as President of the United States. 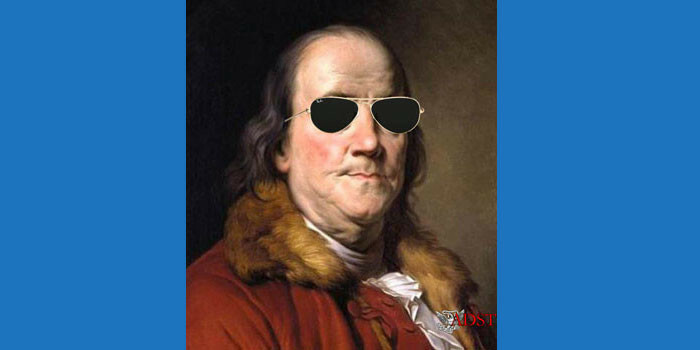 Something in the personality of this handsome, young, well poised Senator struck a responsive chord in the Guineans. They were not more enthusiastic in their reactions to any other American than they were to Kennedy. They praised his youth, his courage, his astonishing knowledge of world affairs in general, and of the problems of developing countries in particular. They enjoyed the distinction drawn by Kennedy between the policies on Africa pursued by the two major American political parties. They believed what Kennedy had said concerning Guinea and Africa if the Democratic Party won the November 1960 election. 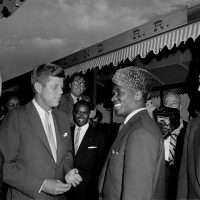 When the Guineans returned to Conakry, they were still talking about their meeting with Kennedy in Disneyland. There were no observers of the American political campaign of 1960 more interested than were the men who had visited America and had met Kennedy. Minister Fodeba Keita, after apologizing for appearing to interfere in the internal affairs of my country, told me that if he were an American, he would certainly vote for Kennedy because of the quality of his leadership. The Guineans were very happy when they learned in August 1960 that Kennedy, the Democratic presidential candidate, was sending Governor Averell Harriman to Africa on a fact-finding mission that included Guinea in the itinerary. They were more elated when Kennedy was elected president and they were shocked and genuinely grieved by the loss of the young president to an assassin’s bullet. This question [of why Disneyland was chosen as the site for the meeting] has often been raised because one would think that because it’s such a public place the visit would be noticed. But it turned out to be the other way around. Because of its very location and the nature of it, very little was ever known about this visit. In fact, no publicity was given to it; some pictures were taken but they were taken by, I think, photographers of the USIS [U.S. Information Service]. So why it was changed, there was never any real explanation, but it was very odd to think of going to Disneyland. That’s the first time I ever had an opportunity to visit there and, incidentally, to ride on that little train that goes around the lot and so on. The Guineans enjoyed it. But the significant thing is: Why did Kennedy take the time to come all the way out to the coast to visit with President Toure? Did he know something nobody else knew? Or was he that sure of winning the election? We don’t know. But it was a very unique incident to have the U.S. Senator. Of course it was true that he was Chairman of the Subcommittee on African Affairs and that gave a reason actually for visiting. But after all, Toure had come to Washington, and, as I recall, Kennedy was not at that state dinner. I’m trying to remember [in what building in Disneyland the meeting took place]. You walked in this place which had been reserved for the meeting. There’s a picture in the book that will show the group emerging, and if you take a look you see that Kennedy can be seen along with Toure. You notice that there’s an airline hostess in the group and quite a few people following, but they were members of the entourage. Just a few onlookers, visitors to Disneyland, but they were unaware — they were by and large unaware. So I decided for this reason that if he, Kennedy, were to come up with an entourage and a crowd to the Ambassador Hotel, everybody would have had some knowledge of this thing; whereas by being in Disneyland, sort of unusual, people were taken by surprise. WALKER: Another visitor was Mohammed V of Morocco [in 1957]. He was a charming person. He was quiet, very retiring. He usually wore long, flowing robes (jalabas, I think they are called.) He had a modified fez…a cross between a fedora and a fez, with a crease in it. He was a pleasant, rather shy individual. We took him to California and visited Disneyland which had just opened. Walt Disney was there and met us at the gate. He was our guide for the day. I have never seen two men have so much fun. Disney had all these toys that he had created and he was in love with them. Mohammed V had a great appreciation for them. They rode things, saw exhibits and did all the things any kid would do and had a marvelous time. We went back to town and the hotel about 4 o’clock. 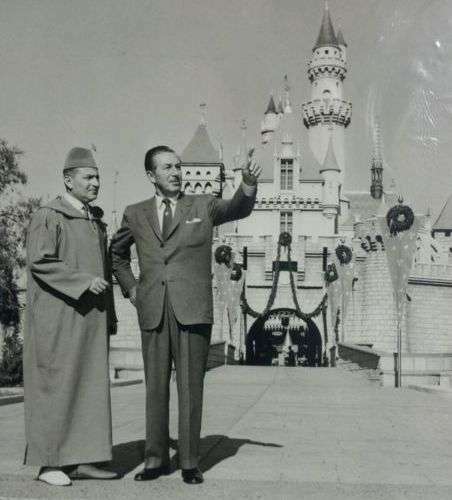 I found out later that Mohammed V changed his clothes immediately, put on a suit and went right back to Disneyland and stayed with Walt Disney until the place closed. He was quite a fellow. HUGHES: The background [of the Yemen Civil War] — just a little capsule of it — is when unification of the People’s Democratic Republic of Yemen and the Yemen Arab Republic] occurred in May of 1990, it was basically on Northern terms because the South had no options basically. They were no longer needing the subsidies from the Soviets and their friends. The same thing happened there as happened in Cuba, but worse. So they agreed to unity without a lot of hard agreements on things — the government in Sanaa, the former leader of the South, would be the Vice President, and alternate ministers, Deputy Ministers, and divide up everything. But it was clear that President Saleh from the North had the upper hand and was slowly but surely marginalizing the guys from the South and particularly the leadership, Ali Salim al-Beidh, who also had problems within his own party, with his own former colleagues from the South, many of whom were trying to marginalize it too. It came to a head in 1994, and basically al-Beidh decided that he had to roll the dice and go for broke, because if he didn’t, he was going to be out or simply a figurehead. He was becoming a figurehead along the way. He had taken a trip to the States in which his erstwhile number two within the party had done some negotiating with Saleh, which got out. While Ali Salim al-Beidh was in the States…he did go to Disneyland. And so here’s Ali Salim al-Beidh in Disneyland while his number two is negotiating behind his back with the President of Yemen. I think it’s a great kind of mental image. Anyway, so he never came back to Sanaa. He went back down to Aden and plotted and so forth. The United States did not want to become an intermediary, but we thought it was in our interest to play the role of good offices for the sake of stability in the Arabian Peninsula. So I did some mini-shuttles back and forth between Sanaa and Aden, a number of meetings, and on and on, in which I basically told Ali Salim al-Beidh that if he tried to push it to the ultimate, that is, attempt to break away, that he would have no international support. I should have been more explicit and said from the United States, because at the time I didn’t know that the Saudis and others were telling him that they would offer him support. Well, he did try it and, of course, he lost and he’s now in exile in Oman.